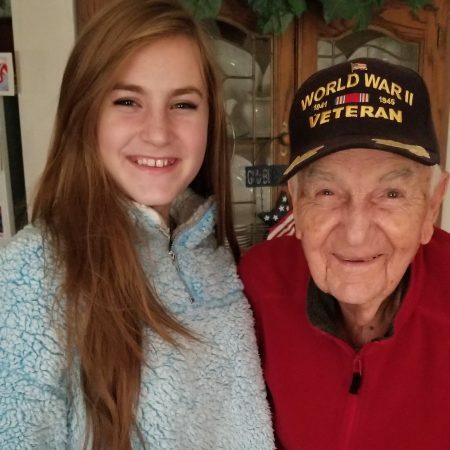 Mr. Jim Long, 93-year-old World War II Veteran, shares his experience and memories in an interview with student Masie Hollingsworth in Fountain Inn, South Carolina on December 5, 2018. Mr. Long discusses his time in the Air Force in WWII as the radio operator and gunner on a bomber plane. He also remembers his time staying with a family in Poland upon crash-landing in the plane. Later in the interview Mr. Long recalls two instances of miracles during his time that saved his and his crew-members lives. The interview ends with Miss Hollingsworth thanking Mr. Jim Long for his time and an insightful interview.